The tourism industry is undergoing a transformation. Travelers are no longer interested in expensive prefabricated package tours. In Southern Ecuador, a new generation of tour operators have stepped into an innovative stream of tourism services. Meet Kevin Rohoden and Jonathan Poma, a couple of local university kids who made good. 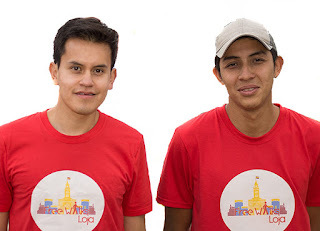 Both Kevin and Jonathan attended the National University of Loja, majoring in tourism administration, which is an engineering degree in Ecuador. Jonathan recently graduated in the spring of 2018.